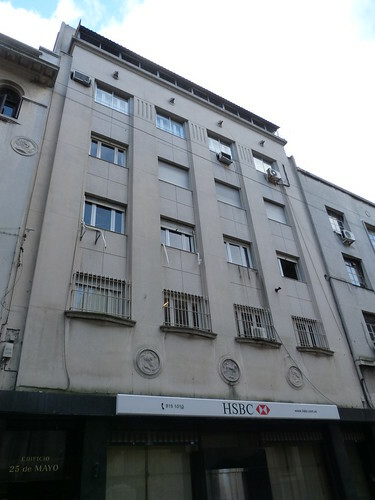 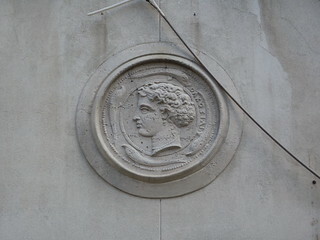 It's now an HSBC building, but I wonder what this building in Montevideo was in its former life. 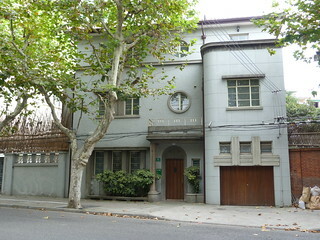 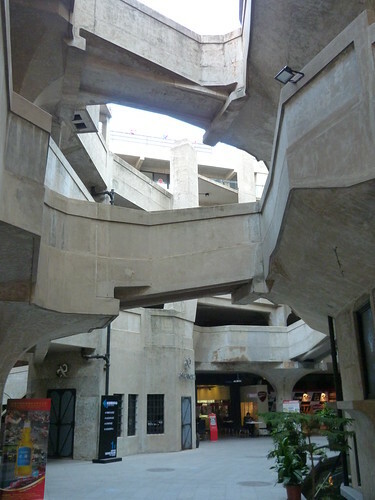 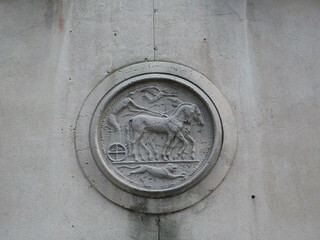 On Monday I mentioned 1933, a former slaughterhouse in Shanghai. 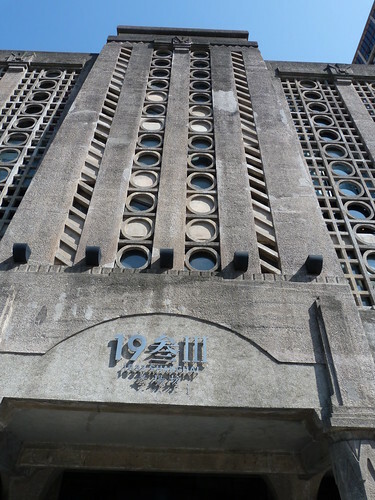 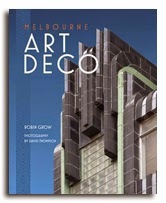 When I was preparing to visit Shanghai I made contact with MeckleyChina, a flickr user which an amazing collection of photos of Asian Art Deco and Modern Architecture. 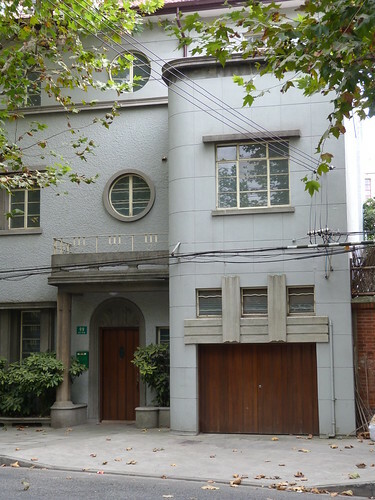 It turned out he had lived in Shanghai for several years and was able to give me some fantastic tips including a tip-off about the 1933 building which is a little bit outside the central area of Shanghai in the Hongkou district. 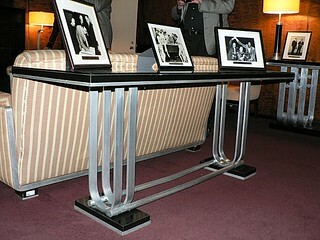 As soon as I saw some pictures of it I knew I had to see it for myself and I am so happy that I did. 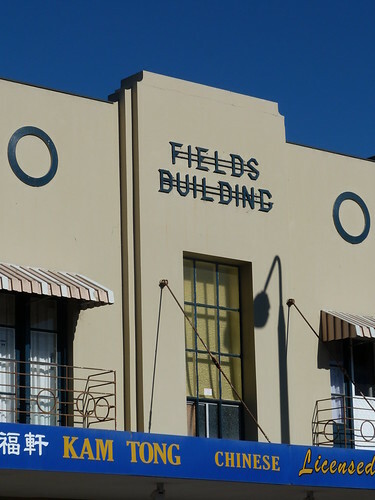 You probably won't be surprised to learn that the building dates from 1933 but perhaps it is a little surprising that it was designed by an English architect, C H Stableford. 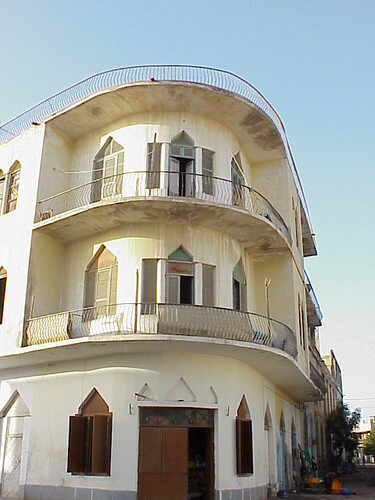 The façade is a mass of concrete with circular and square shapes over the large vertical windows all supported by columns that have a hint of Egyptian styling to my eye. 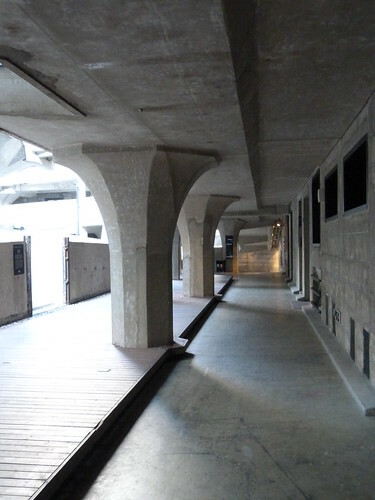 Inside there is a spiral cattle path giving access to the levels via numerous ramps leading to a large circular structure at the core of the building, no doubt where the slaughtering activities took place. 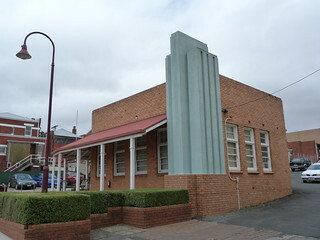 Today, the old slaughterhouse has been redeveloped as an arts and entertainment hub with exhibition spaces, cafes and restaurants among other uses. 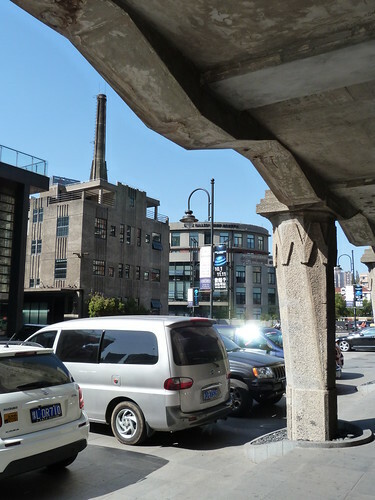 Thank you so much for the tip-off John, and when I go back to Shanghai I will definitely go back to the old 1933 slaughterhouse. 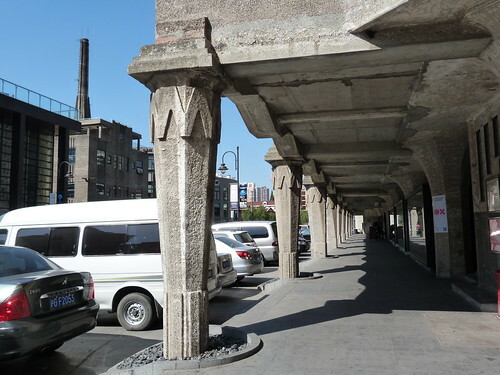 Don't worry about that fabulous concrete verandah that I'm sheltering under, out of the strong Chinese sun. 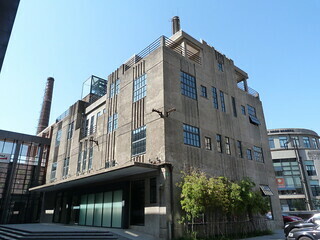 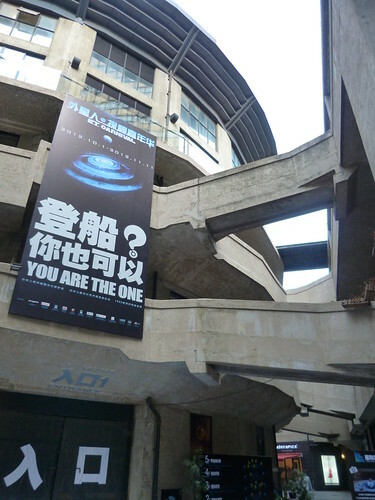 That's the 1933 building, a former slaughterhouse and one of the most amazing buildings in Shanghai and it can wait for another day. 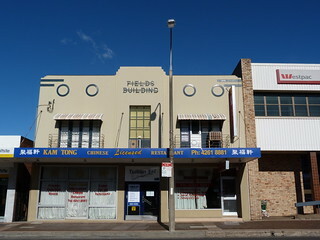 No, today's building is the industrial building across the road. 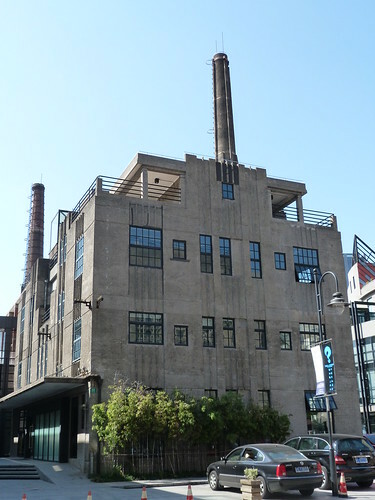 I don't know if it is still used for an industrial processing or, like the slaughterhouse, it has be adapted for another purpose. 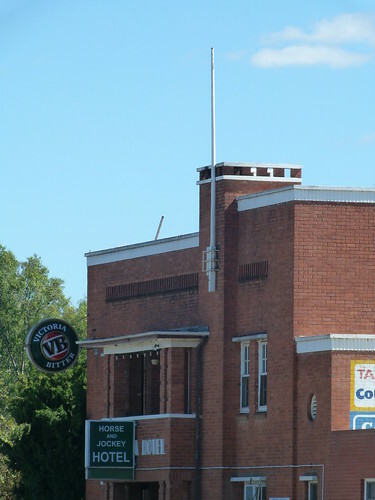 Just about halfway between Melbourne and Sydney on the Hume Highway, the Horse & Jockey Hotel. 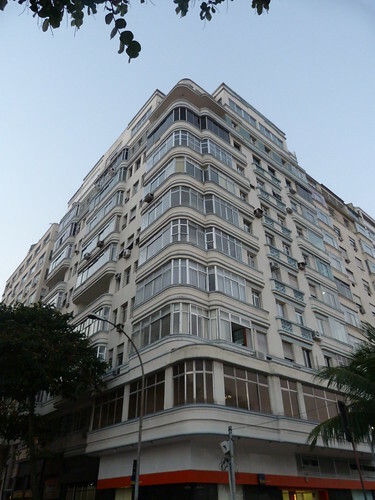 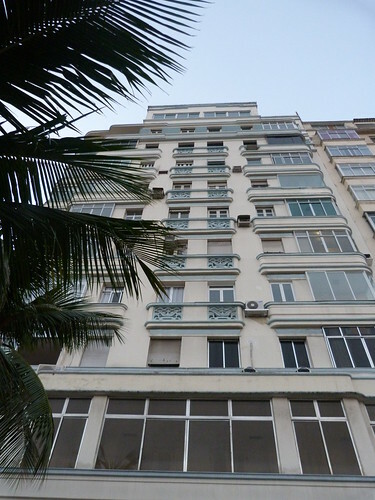 This large apartment block is on Avenida Atlântica facing Copacabana beach. 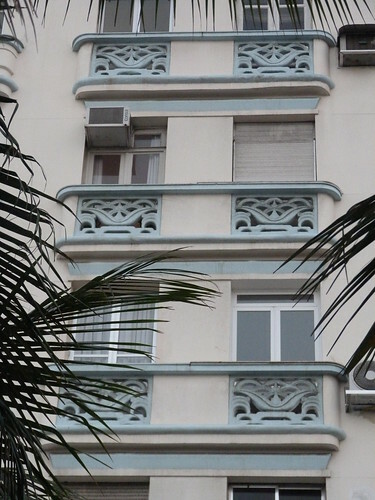 Not a bad place to live. 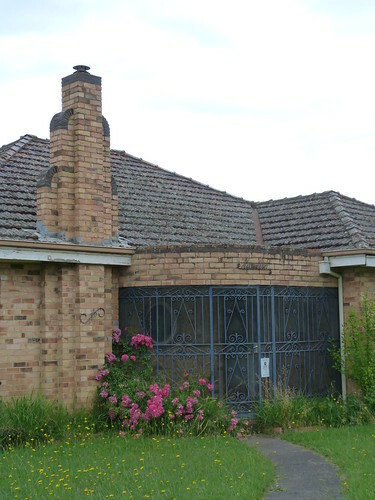 I love the shapes of this great little building in Poowong in Gippsland. 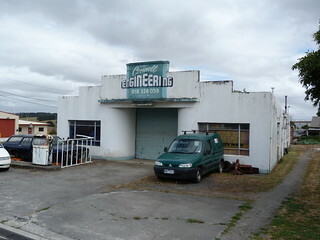 The stepped roofline and the rounded walls drawing you into the entrance and, of course, the stepped lettering in the GJ & LJ Connell Engineering sign. 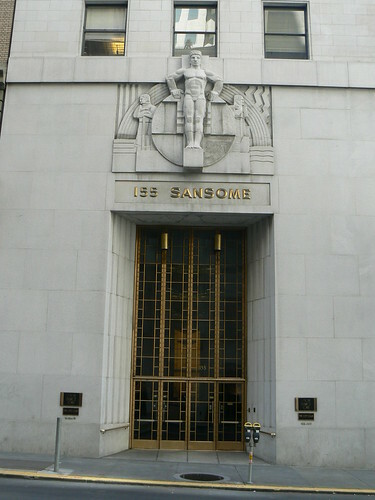 We the members of the San Francisco Stock Exchange voted in 1927 to replace their existing building with a new one costing $½ million it was the design of James R Miller & Timothy Pflueger that was chosen. 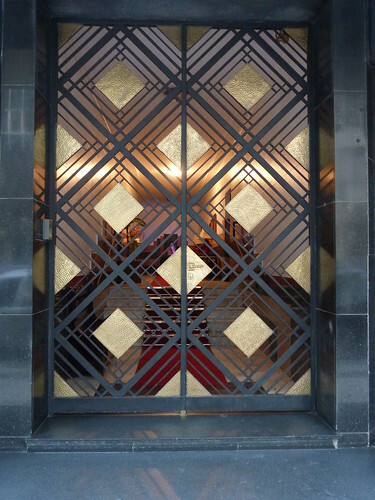 Miller & Pflueger had previously designed separate buildings for the exchange and a rival San Francisco Stock and Bond Exchange but those had been prior to the new Art Deco style coming into vogue. 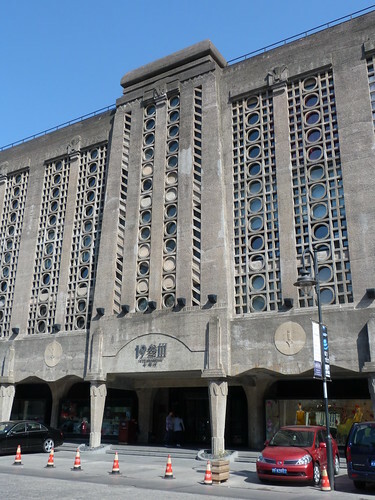 The building was constructed during 1929 and was nearing construction when the Stock Market Crash hit on October 29 leading to the building becoming known among traders as the Monument to the Crash. 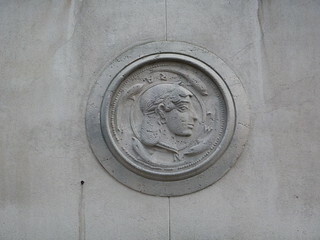 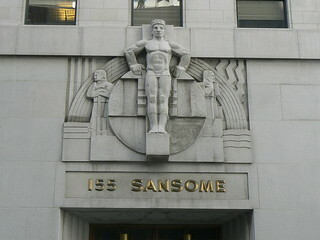 This is the Sansome Street entrance to the building dominated by Ralph Stackpole's sculpture, The Progress of Man. 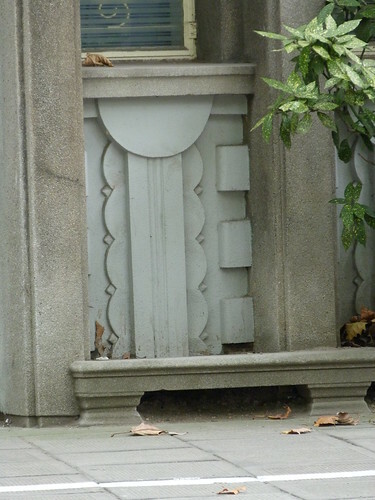 There's more of Stackpole's sculptures associated with this building and a fabulous interior but I'll leave those to future posts to explore further. 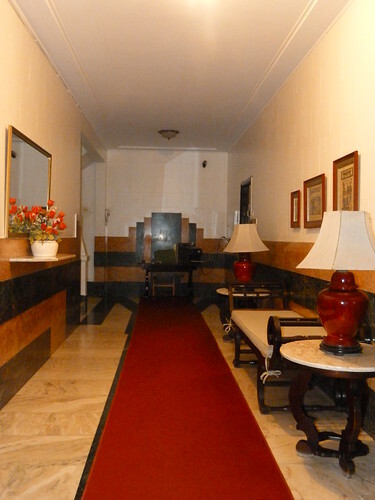 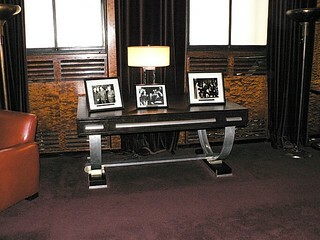 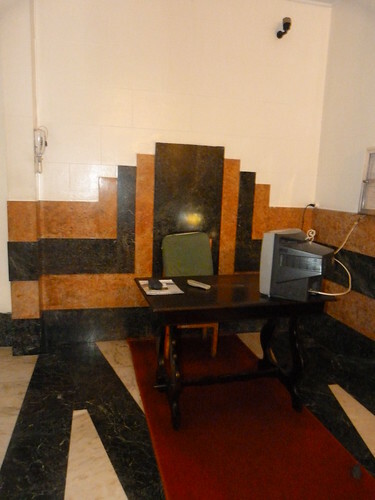 Here's a peak inside the foyer of another of the wonderful Art Deco apartment blocks in Copacabana. 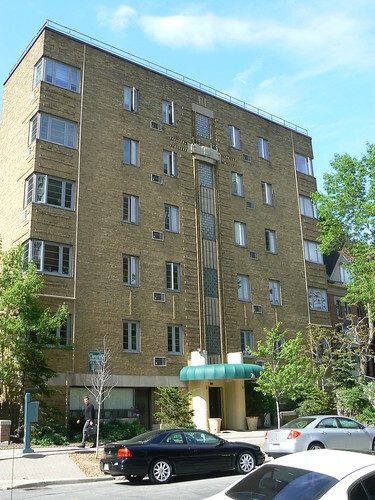 This is Cloverhill Apartments in Toronto built in 1939 and designed by John Gibb Morton. 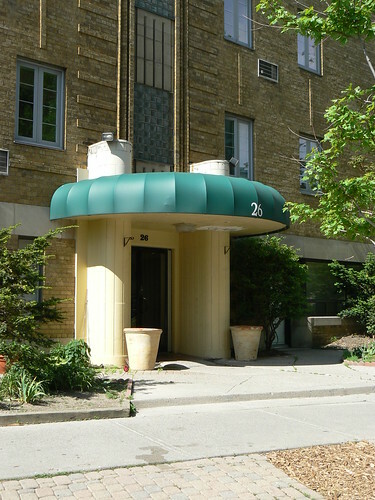 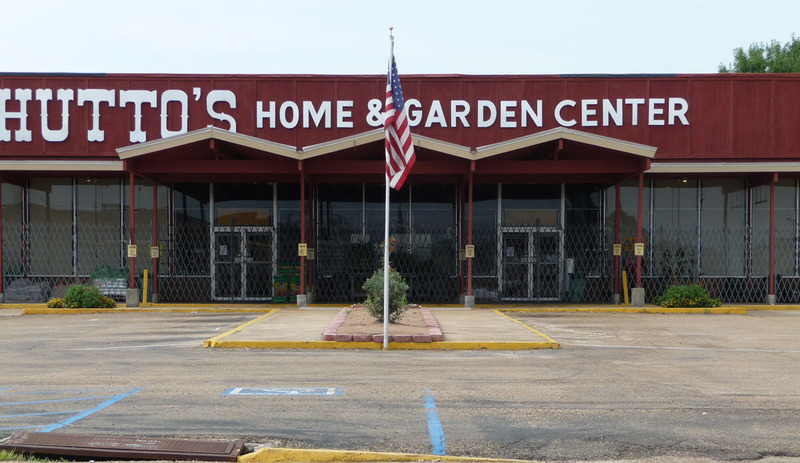 The green awning at the entrance is a later, unsympathetic, addition. 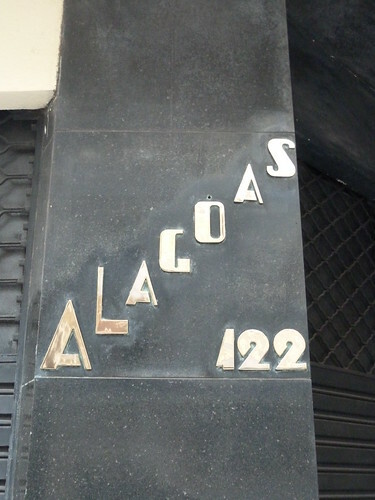 Older photos should a more elegant entrance canopy with slender metal letters spelling out the name of the apartments as late as the 1990s. 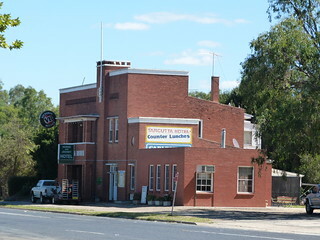 Longwarry is a small town off the M1 about 95km west of Melbourne. 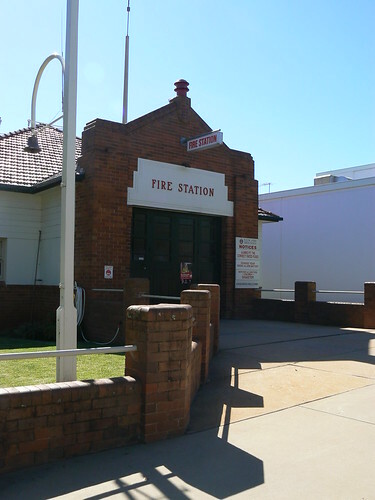 The local CFA run a market on the first Sunday of each month, except January and February. 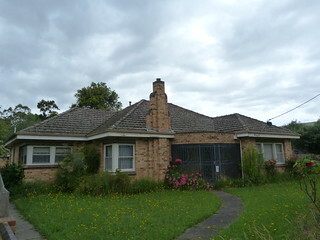 Note that it is February … still I took the opportunity to turn right at the railway crossing, rather than left to the non-existent market, and have another look at this great house called Homelea. 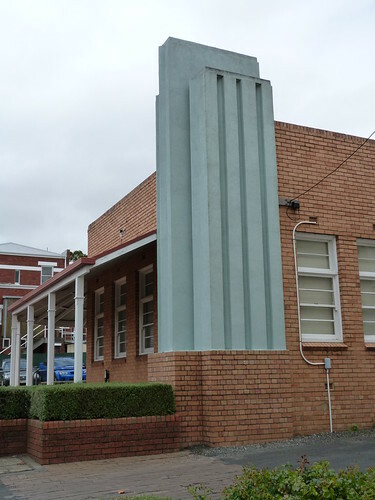 This amazing streamline moderne pylon belongs to the former Comfort Station for Women in Radovick Street, Korumburra. 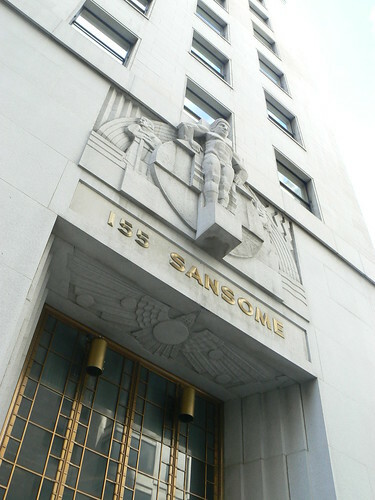 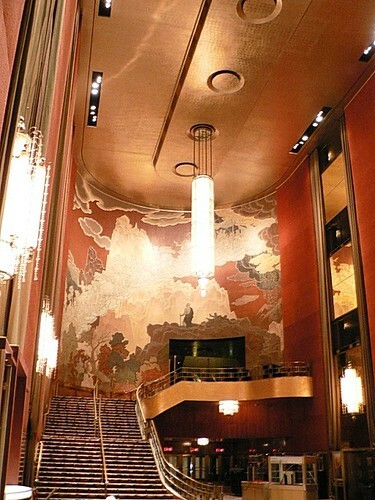 The building was designed by the Public Works Department in 1944.